AcceleroEndurance is a coaching company designed to inspire and challenge athletes at all levels through scientific based training methods. We welcome all athletes, of all abilities, from all walks of life, and strive to create a community of support in a fun and welcoming environment. Whether you’ve never done a tri before, or you’re a regular on the podium, we can develop training plans to fit your goals and lifestyle. Louis Cicchino is a top ranked amateur triathlete and triathlon coach based in Denver, CO. 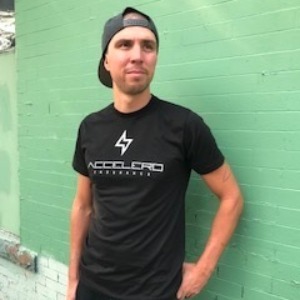 He has a Bachelors degree in Exercise Science from Metro State University, a Certified Training Certificate from the National Academy of Sports Medicine, and is a Level I Certified Coach from USA Triathlon. Louis (or Coach Louie! as his athletes call him) has experience coaching a variety of both on and off road athletes at all levels, ranging from those working towards improving their performance, to those in a rehabilitation setting. Seeing his clients have fun, support one another, and smash goals they didn’t think was possible is his favorite thing about coaching. This year, Louis earned the honor of representing Team USA in the ITU Off-Road world championship. In July 2018, he will be traveling to Denmark to show the world that Accellero Endurance means business! Success. Coach Louie Frank Cicchino has been notified of your message.